Picture this, your family sits at home on a Friday night, Mum is too tired to cook, Dad is not bothered to drive and your hunger level is about to lead to you devouring the family cat. Let's face it, everyone has encountered this problem, and to solve it I would recommend putting down the cat, and picking up the phone to call Rio Grande. It is a sad thing to see in Sydney, but a great set of ribs, pork or beef, for a low price is nearly non-existent, the only reason I say nearly is because Rio Grande's ribs are as mouth watering as they are filling. This is one of the many highlights this takeaway joint have, along with a very wide and varied selection of foods to put an end to the stomach grumbles of even the most contrasting family. You could be greeted with anything from the sensational taste of an enchilada, to the welcoming smell of a freshly cooked pizza when Rio Grande comes knocking on your door. My experience with Rio Grande has been positive in many different ways. 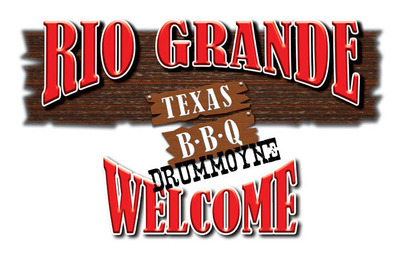 Good customer service, great food, wide range, quick delivery and cheap cost all are huge contributing factors to why a Rio Grande experience is a Grande old time. Make sure to save some room throughout the day, if not, expect to have some trouble getting off the couch because of the affect it could have on your ability to fit into pants. Located in the Revesby area, Rio Grande will deliver to a certain area before an out of area charge is added to your purchase. Revesby, Revesby Heights, Padstow, Milperra, East Hills, Panania and Condell Park are some of the examples of the places which are located 'in area'. Some may see this as a concern, as I can see the limited area in which no extra charge is incurred is very small, however I can recommend this food stop for any family as through the years of experience purchasing from them, it is easy to see how the large range of food available and quality of the meals provide customer satisfaction guaranteed. Why? To have some of the best takeaway food you will ever purchase. I had food here once, it was alright! I proceeded to find some beer and drank it. It was a good night. Gr8 review - the family will give it a go this week !